Gregg and Tara Garner had their first daughter, Genesis, in 2002. Tara’s due date was Christmas Day, but was recommended by her doctor to schedule an induction so that she could bring her home for Christmas. Lacking the education and support system that mothers in our community now have, Tara and Gregg went with the doctor's suggestion. The lack of compassion and informed consent that the Garners were given at Genesis' birth was the beginning of Tara's journey to learn about what a healthy birth experience should be like for women, and putting in the necessary work to make that happen. Within 3 years, Tara became a childbirth educator, doula, birth photographer, and the Director of the Childbirth Education Certification Program at the Institute for G.O.D. International. This program has produced 15 birth workers and partnered with 5 others, many of whom advocate for immigrant and refugee mothers birthing in Nashville. In addition, Tara is the Director of NOVA Birth Services, which offers education, advocacy and birth services to couples throughout the greater Nashville area. Last month we welcomed the 100th baby born into our community! As we take in such a wonderfully historical moment, with grateful hearts, we recognize the immense blessing and responsibility God has gifted us in these precious little lives. The Lord has seen each mother, and every baby, through their pregnancy, birth and postpartum recovery time. From my little Genesis (who is now 11 years old!) to our newest little girl, Mayzie (born to Brynn & Mitch Buchanan) God, the giver of life, has been faithful to guide and keep us! Personally, having witnessed myself the grand majority of the first hundred babies born, I am compelled to share how the faithfulness of God has been demonstrated towards us through the outstanding birth outcomes that make up our community’s blossoming story. Now, let me assure you, we’re not just concerned with the birthing of babies; we’re also compelled to raise them to become fearless forces of life, healing and redemption in a world that needs light. This is no small feat, but we believe it’s actually one of the greatest efforts anyone could ever participate with God to accomplish. This next generation holds our hopes, dreams and prayers for fulfilling God’s desire to have people who can image his Son and give hope to a world in need of good examples, inspirational leaders and impassioned activists! Brynn Buchanan is our newest community mother. She gave birth to a healthy baby girl, Mayzie, at the hospital, attended by midwives. 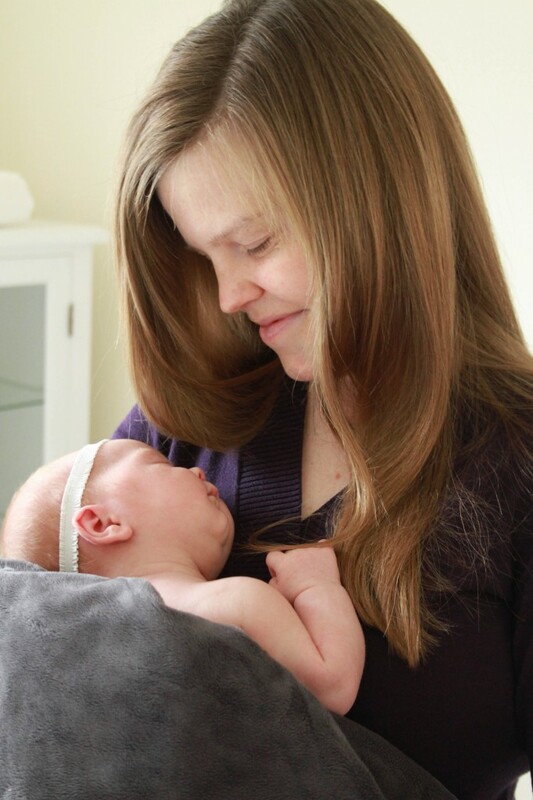 NOVA Childbirth Educator and Doula Megan Fleeman taught childbirth classes for Brynn and her husband, Mitchell, and was a tremendous support before, during and after her birth. It is an ever-driving conviction of the G.O.D. community to do our best to reflect the character and the desires of God in our world as he teaches us all to do in his Word. Like a city on a hill, we work, study and serve to shine our light before anyone watching so that we could be that blessing to all peoples, even the nations, that God promised through Abraham. We strive to see this overarching vocational responsibility permeate our occupational efforts as childbirth educators, doulas, and midwives. A Glimpse of Birth in The U.S.
One contributing factor to such outcomes could be that birth, a physiologically normal process for 75 percent of pregnant mothers, has become overly and unnecessarily medicalized in our nation. Compared with physician-attended low-risk births, midwife-attended low risk births have 33 percent (one-third) fewer deaths among newborn infants. Furthermore, midwife-attended births have 31 percent (nearly one-third) fewer babies born too small, which means fewer retarded and brain-damaged infants. (3) According to Dr. Marsden Wagner, perinatologist and perinatal epidemiologist and former director of Women’s and Children’s Health in the World Health Organization for 15 years, there is not a single report in the scientific literature that shows obstetricians to be safer than midwives for low-risk or normal pregnancy and birth. Birth in our modern day culture has become less about better outcomes and more about convenience and booming business. On average, more than 60% of a hospital’s revenue comes from its obstetric care and maternity services. One third, 32.8% and rising, of all births end in a high-risk, surgical procedure, a cesarean section. According the World Health Organization, for optimal and safest birth outcomes, the cesarean section rate should never exceed 15 percent. Surrounding Amanda to welcome baby Lenore is Tori Roufs (doula), Elise Buckner (apprenticing midwife), and Celesta Bargatze (newly certified midwife)—all of G.O.D. International—her primary midwife, a Licensed Certified Professional Midwife was also in attendance (not pictured). This picture speaks to the bond created and compassionate support a new mother can, and should, experience from her support team. I know I just unloaded a lot of information, but wouldn’t you agree such data should be highly scrutinized and exposed for the sake of the preservation of life? The seasons of pregnancy and birth are some of the most vulnerable and impactful times in a woman’s life, filled with memories and experiences that she is left to live with forever, and often dictating the way she mothers and views herself as a mother. In light of this, every woman deserves maternity care that acknowledges that reality. What should be a very compassionate, humanizing field of healthcare has become a risk-taking, scientifically unfounded moneymaking industry that capitalizes on the health of those it exists to serve - mothers and babies. As a woman of childbearing age, I find these realities appalling, and worth exploiting for the sake of working towards safer birth outcomes. The childbirth workers of G.O.D. are striving every day to meet the growing needs of the expecting families we serve. We take very serious our calling to educate and empower families to make informed decisions so they could have the most healthy birth experience possible for their individual situation. As the midwives of the Exodus story exemplified, we have taken on the responsibility to ensure that the preservation of life trumps over any other agenda that disregards the value of the mother and her baby. It is our aim to guard pregnant and birthing women against disruptive, entrepreneurial agendas that rob their experience. We are here to make sure they know they deserve to be treated respectfully and holistically by their caregivers. To do all this, God has blessed us with incredible educational classrooms, office spaces, and conference rooms, all filled with the appropriate technology, visual aids, and teaching tools necessary to accomplish the task. Above all, he has provided us with the most invaluable presence of skilled human resources. He has connected us with a vast network of world- renown birthing experts, whom we are constantly learning evidence-based practices from. We have received apprenticeships alongside incredibly skilled and seasoned midwives and the Midwives of the North American Alliance has even nationally recognized our very own midwife, Heather Munoz! God has been the source of our equipping! He has been watching over our efforts and I am thrilled to share with you the outstanding outcomes of our first 100 community births, contrasting the dominant culture of medicalized birth today. I hope you celebrate with us, and pray for us, concerning the good work God is doing amongst us, a good work that glorifies our Father in heaven! Over the last decade, 100 children have been born to participants in the G.O.D. Int’l community, 48 of them boys and 52 of them girls. 54% of these babies were born in hospitals (compared to 98% of U.S. births, CDC 2012). 34% of these babies were born at home (compared to 0.9% of all babies born at home in the US, CDC 2012). 12% of babies were born at birth centers (compared to 0.5% of U.S. births, CDC 2012). In the US in 2012, Doctors of medicine attended 85.8% of all hospital births, certified nurse midwives (CNMs) attended 7.6%, and doctors of osteopathy 6% (CDC 2012). In our community, and with the following results, 89% of births were attended by midwives, and only 12.3% by OB/GYNs. The World Health Organization states that if the cesarean rate exceeds 15%, maternal mortality and morbidity also increases. Though the WHO recognizes the danger of making cesarean section the norm rather than the exception in case of emergency, the U.S. cesarean rate is 32.8% on average, with some hospitals being as high as 70% (according to the CDC 2011 study). Our total number of Caesareans is 10 out of 100 births, or 10% -- 5% below the WHO recommended average, and 23% below the national average in the US. Though many, including the American College of Obstetricians and Gynecologists, recognize that vaginal birth after cesarean (VBAC) is both possible and healthy, the U.S. VBAC rate is a mere 10% after an initial cesarean--that is, 9 out of 10 women who have cesareans go on to have all future babies by cesarean. In contrast, our community completely flips the statistic. 9 out of 10 of our women have had successful VBAC births--a 90% success rate! Amanda Davis and Lyssa Loeffler delivered breech babies vaginally, making our average for vaginal breech delivery 66.6%. Amanda and Michael Davis, and their babies, have overcome a myriad of birth-related complications. Their first birth was a scheduled cesarean section because of a breech position. Their second daughter, presenting in the most challenging breech position was, against all odds, safely delivered vaginally, with midwives in the hospital. Her third, a son, was delivered at home with a midwife (not pictured here). Her fourth, another daughter, was born at home last summer, also attended by midwives. Even in the face of medical complications, we have endured. Heather Munoz birthed her premature twin boys vaginally in the hospital. Although preterm births have occurred by unforeseen circumstances, they have not risen above 3%, compared to the national average of 11%. Out of the 100 births in our community, 90% of mothers were accompanied by doula support in labor. We believe our community’s statistics can stand as a sign to the world that the projected birth outcomes for American women do not have to make their way into our lives. I believe that our birth outcomes speak of the faithfulness of God through His people who have partnered with Him to enact justice in this most important arena of human living. (1) The Huffington Post. TheHuffingtonPost.com, 24 Aug. 2012. Web. 10 Mar. 2014. <http://www.huffingtonpost.com/2012/08/24/maternal-mortality-rate-infographic_n_1827427.html>. (4) "New Research: Doula Support Reduces Odds of Cesarean Section by 40%.” "Choicesinchildbirths Blog. N.p., n.d. Web. 10 Mar. 2014. <http://choicesinchildbirth.wordpress.com/2013/02/22/new-research-doula-support-reduces-odds-of-cesarean-section-by-40/>. (5) "Birthing biz booms for hospitals." Latest from Crains New York Business. N.p., n.d. Web. 10 Apr. 2014. <http://www.crainsnewyork.com/article/20140309/HEALTH_CARE/140309897/birthing-biz-booms-for-hospitals>. (6) "New Research: Doula Support Reduces Odds of Cesarean Section by 40%.” "Choicesinchildbirths Blog. N.p., n.d. Web. 10 Mar. 2014. <http://choicesinchildbirth.wordpress.com/2013/02/22/new-research-doula-support-reduces-odds-of-cesarean-section-by-40/>. (8) "New Research: Doula Support Reduces Odds of Cesarean Section by 40%.” "Choicesinchildbirths Blog. N.p., n.d. Web. 10 Mar. 2014. <http://choicesinchildbirth.wordpress.com/2013/02/22/new-research-doula-support-reduces-odds-of-cesarean-section-by-40/>. (9) "Maternal Mortality." unicef.org. N.p., n.d. Web. 12 Mar. 2014. <http://www.unicef.org/specialsession/about/sgreport-pdf/09_MaternalMortality_D7341Insert_English.pdf>.